Today I welcome author Sarah Williams to the blog. Sarah kindly agreed to answer a few questions, so here we go! 1) Perhaps you would like to start by telling us something about yourself and your work in general? I’m originally from the South West of England but have been living in Australia for the past three years. I primarily write novels but also do some work as a freelance writer, providing copywriting services to local businesses. 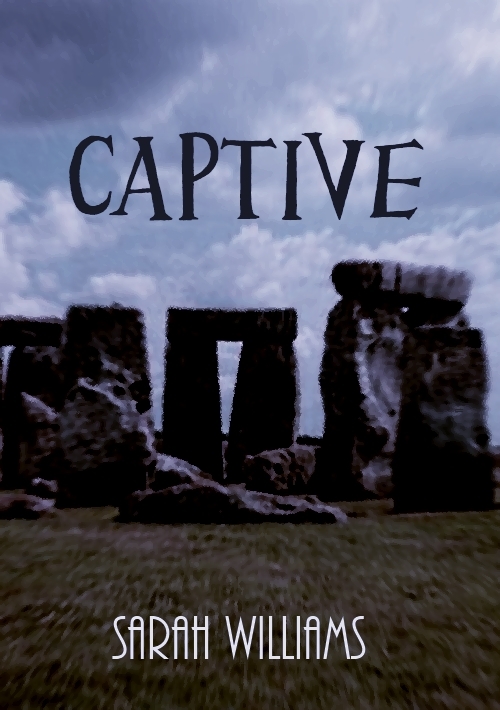 My first novel, Captive, is currently available as an e-book and the sequel to this novel is being written and is due for release this year. I have such early memories of wanting to write. I loved creating stories and would hand write everything before reading them to my younger sister. I then upgraded to a typewriter followed by a word processor before finally moving on to a computer. Writing has been something I’ve always done and something I’ve always loved. 3) Are you drawn to a particular genre? What other works/authors would you say influence you the most? As a writer I’ve always preferred urban fantasy, though I tend to find elements of other genres sneaking their way into my work. Generally I find I write in a combination of genres. I grew up reading Dean Koontz so would count him as a major influence on what I write today. 4) Where do you get inspiration for your writing? 5) What is the best experience you've had so far as a writer? I love actually writing my books but selling them and getting good feedback makes you feel on top of the world. I get nervous submitting my book for review but when someone comes back with a five star rating and nothing but praise, you can’t help but smile. I was an extra in the film “King Arthur”. You can see me, a grubby peasant, for about five seconds as I applaud the wedding of Arthur and Guinevere. It was a ridiculously hot day for England and peasant clothing is uncomfortable and itchy. 7) What are you working on at present? What new releases can we expect from you in the near future? I’m writing the sequel to Captive and I hope to have this released before the middle of the year. I also have ideas in the pipeline for a comedy, which I will begin work on when I’ve finished my sequel. 8) Where can readers go to find out more about you and your books? Here are the links to where you can find out more about me and my books. Sarah grew up just outside of Warminster in England before moving to Australia in 2008. Sarah now lives in the Illawarra region of New South Wales with her boyfriend and an ever growing collection of plants. 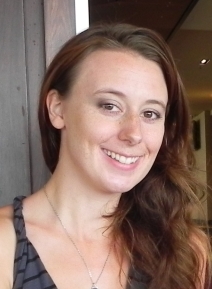 Sarah enjoys good food and wine, gardening, reading, music, films, yoga and of course writing. Lux Swithin wakes up in a hotel room that she has no memory of falling asleep in. Alone, disorientated and far from home Lux fears the darkness. She fears the man who will inevitably return for her. Unaware of the dark history that led to her capture, Lux is equally oblivious to the various groups that are desperately trying to track her down. The Luminita have only her best interests at heart and are sworn to protect her but others have a more sinister agenda. As Lux attempts to escape her fate, the Luminita use their own unique skills to try and protect her. But whilst some unsavoury characters are easily dealt with, there is a grotesque evil that seems unstoppable. It stalks Lux with a twisted mind, determined to make her pay for ancient crimes.